also my first time in Russia)! Why did I decide to visit this city? The many good things I have heard about street art! Over the years, street art has become an incredibly important artistic and cultural movement and I’m honestly really passionate about that. It’s nothing compared to the graffiti you sprayed when you were 15 years old: street art is way more in-depth, it hides several meanings, it’s made for several reasons, especially social or political ones. Renowned artists have made the public go crazy with their creative works. However, street art remains very controversial: who owns the rights over the artworks? Why do so many people still consider it illegal? Even though there are times when the artists don’t have the permission to tag the walls, it’s also true that street art is a visual enhancement of the environment. art museums: for example, also the city where I’m currently living, Warsaw, has one of the best street art district in Europe as well as Brussels. Recently I have also heard that also St. Petersburg. Russia’s second-largest city after Moscow has something great to show in this matter. 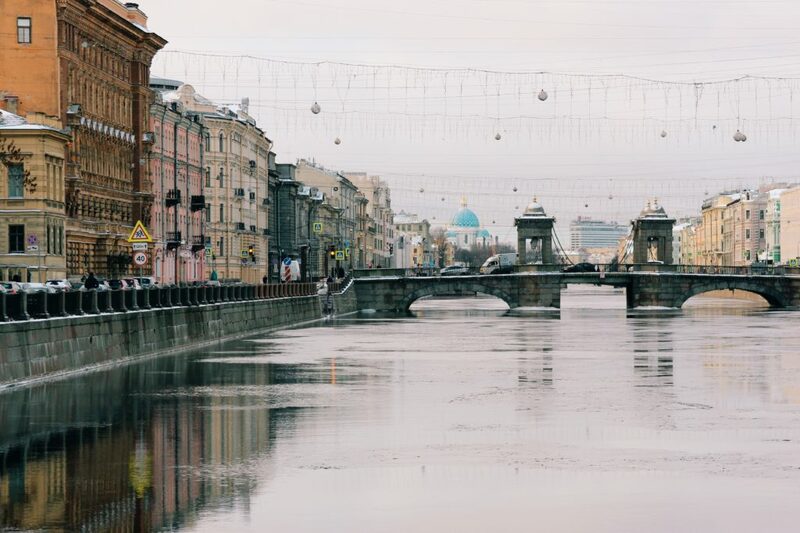 From its birth, St. Petersburg was intended to show the splendor and the history of Russia: it’s a treasure trove of culture and art with hundreds of museums, grand palaces, beautiful squares and amazing canals. In this dualistic context, the Street Art Museum and its strong identity are starting to make their way into the artistic mainstream. Located on the active Laminated Plastics factory in the East of the city, the museum is a jewel far from the usual places tourists go to. When I travel, I usually prefer to rent a flat, but this time I decided to make a little exception and stay at the Radisson Royal Hotel, St. Petersburg. This was also because surfing on the web I have discovered that they took part actively in the topic of the street art creating and have an interactive map of street art in St. Petersburg in collaboration with the St. Petersburg Street Art Museum and with the Technical Director of the museum, Alexander Muschenko who they interviewed. In St. Petersburg, street art is becoming more important by the day. However, all the tourists know that it’s extremely hard to pinpoint the locations of these beautiful pieces of contemporary art. From time to time, street art enthusiasts organize occasional excursions to visit the key street art locations, but they’re not official tours. everyone. A great work that stands out from all others is the street art version of one of the most famous oil painting of art history, The Kiss by Gustav Klimt, located in the New Kudrovo neighbourhood: a perfect example of urban integration where contemporary architecture blends perfectly with the incredible colours of this edgy art form. will guide you through the streets, you may enjoy your trip even more!